Cicely Berry died on the 15th of October this year (2018). This is not an obituary because she needs me to add to the pile of adulation in the same way as Jeff Bezos (net worth $112b) needs my spare fiver. On the other hand, I can’t claim this is purely personal either, because I don’t do personal, online (much). The thing is, if you put that to novice-but-know-it-all would-be presenters, they think it gives them licence to say things how they want – and in some extreme cases to say what the want because “It’s my truth”. I can think of what remarkably terse, very anglo-saxon phrase Berry would have in response to that. Instead, the important thing is that we, as presenters get to The Truth of our message. The capital letters are deliberate. For all that she wasn’t into formal, over-structured techniques, Berry would drill and drill and drill the people she worked with to get the the very core of the message. The first idea for presenters is that we very often just skim the meaning of what we’re saying. Sure, we might be presenting an increase in sales over the last quarter and we think we’ve got the message honed. But that’s rather superficial. Let’s go deeper. Presentation meaning layer two might look like this: what’s causing that? Might it actually be a bit of a bad thing, because this growth is based on bookings from next quarter coming in early? If so, might we be facing a problem in the near future? Might we need to think about the cash flow implications of that and not spend the extra dosh we’ve got, to cover next quarter? And then there’s presentation meaning layer three: what does that mean to the people in the room? It’s great that you’re reporting an increase in turnover, but is there anyone in the room who’s response to that is “Yeah, at the expense of my home relationships!”. If so, your presentation has a wholly different meaning to them – it’s not a cause of celebration, it’s a reason to be angry. By really getting to the meaning of what we’re saying, we have a better idea of how to present it. Because there’s no one, global system for what you’re saying, there is no one way to say it. That implies that you need, as a presenter to be so far on top of your game and on top of your content that you can flex it, without it showing to your audience, as you go. How many of us can say that?! Most of us don’t rehearse at all and those of us who do tend to rehearse one way of doing things until it becomes stable… the idea of rehearsing above and beyond that so that it becomes unstable again is a bit scary! Instead of concentrating on getting it Absolutely Right and Fixed; why don’t we concentrate on learning skills and content, so that when we actually make the presentation we can go where our audience needs us to go? Here’s a (bad?) analogy – I’m learning Spanish at the moment. As part of my learning process I’m being walked through a number of “typical” conversations: I start with “hola; que tal?” and my teacher responds with one of a fixed number of options finishing with “y tu”, so I know it’s my turn to tell her how I’m feeling. So far so good, but do you honestly think that’s going to work in Spain? Not a chance! If anyone goes of my fixed, rehearsed script I’m stuffed! A simple switch to “como estas?” would leave me helpless! As a learning tool it’s fine, obviously, but far better to then learn Spanish more comprehensively, so that I can handle whatever conversational gambit I’m faced with. Learning skills and processes is better than learning scripts, either literal or metaphorical, in the long run! I admit it, I’m not being comprehensive here. I’m not even being objective. Miss Berry was something of a hero of mine and her book “Voice and the Actor” is still important. 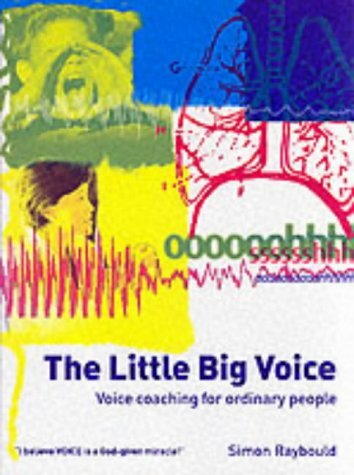 It was one of the inspirations behind me writing “The Little Big Voice“. What’s more, this blog won’t make much sense unless you know how bloody inspirational and revolutionary Miss Berry was. Next Next post: Presentations with scripts. Good, bad or ugly?